M-KOPA provides access to solar power to countries in East Africa where many communities are off the grid and have to rely on Kerosene powered generators. The biggest barrier to solar has been up-front cost. M-KOPA developed a pricing strategy that allows users to pay a small upfront investment of $35 and $0.45/day for a year. At the end of the year, the customers own their new solar hardware. The biggest barrier to solar has been up-front cost. M-KOPA developed a pricing strategy that allows users to pay a small upfront investment of $35 and then $0.45/day for a year. At the end of the year, the customers own their new solar hardware. They accept payments through the mobile phone banking system M-PESA, which allows them to track payments and remotely stop a device from working if payment hasn’t been made. Customers are told that sticking to the payment schedule will make them eligible for more M-KOPA products in the future, discouraging delinquency. The “pay-as-you-go” pricing structure and easy and familiar method of payment make for a fantastic combination. 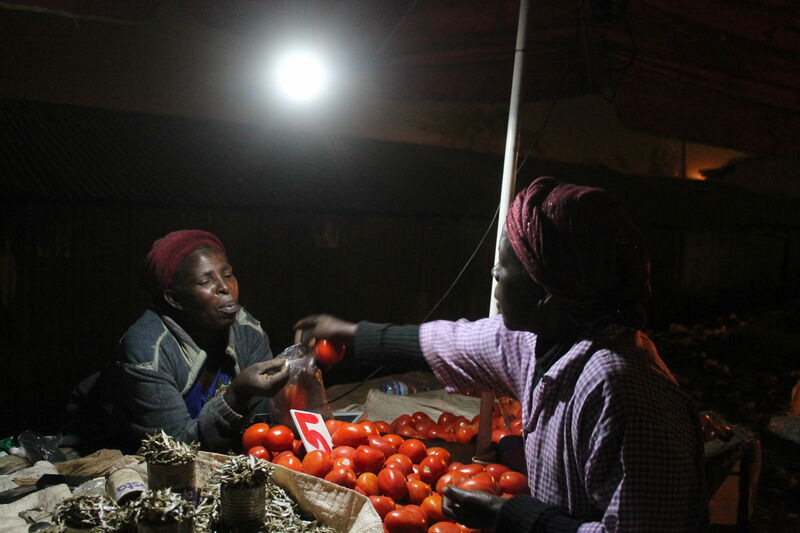 And, like Juabar, another solar power company that we wrote about here, M-KOPA has also allowed for micro-entrepreneurship by enabling families to host movie nights, offer charging stations or even power stalls and kiosks allowing businesses to stay open later. ← How Juabar provides solar energy and entrepreneurship opportunities in Tanzania.